With years of experience and outstanding service, John Evans’ Sons is a world class manufacturing partner for the aerospace industry. Many of our customers come to us having an understanding of their own products, but need assistance with creating a product that will perform the necessary action. We do more than just manufacturing. 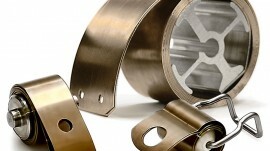 Our design team is able to assist with developing correct spring calculations and configurations. 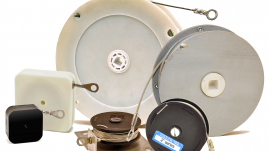 In many instances, our clients may have requirements that meet the specifications of our standard springs and components. 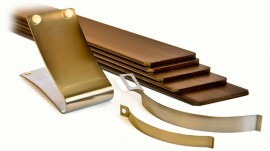 These standard products may also be used in custom mechanical assemblies we manufacture. Some of our most notable projects include Airborne FLIR camera mounting, sub-launch Tomahawk cruise missile, and drone aircraft launch and recovery. John Evans’ Sons has also manufactured suspension components for the Rover Curiosity. 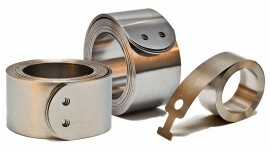 We offer several counterbalance options that work with aerospace equipment design. 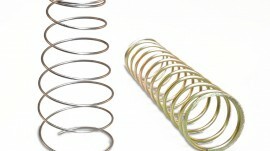 Depending on your counterbalancing needs, there are stock and custom spring options available. There are several ways to counterbalance jet stairs or main door/stairs as shown in image (right). 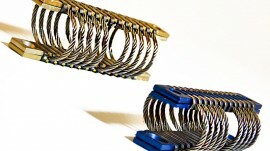 Constant force springs can be used in a “gang” arrangement, i.e. side by side in a multi-spring assembly. This allows for hundreds of pounds of counterbalance force to be available to assist in deploying & retracting the main entry door / stairs, or cargo doors. The two upper most arrangements show cables exiting housings in the bulkhead allowing the force from the spring assembly to be applied to the door / stairs at a point near the lower steps. 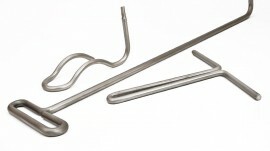 The third arrangement shows another option, when used in conjunction with a lever rather than a cable assembly, allows for use of spiral torsion springs. The main property of this type of spring is great forces generated, but in a small amount of deflection. The application shown (at right) requires only 50 degrees of deflection to achieve a given counterbalance force. This is an example (at left) of four constant force springs used in a gang arrangement of four across and a “B motor” configuration allowing the springs to be wound onto a drum to generate great linear forces within the smallest space allowable. This assembly is known in the aircraft industry as a tensioner or tensator motor assembly. 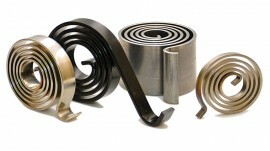 We can supply the constant force springs for new production as well as for rebuilding existing units. The unit shown is P/N 25FC6829AF from a Beechcraft Hawker 800, but is common to the H400 and H700 also. 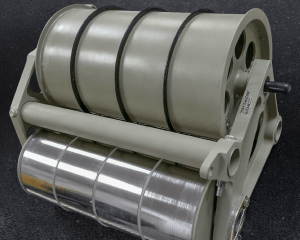 Most models from Bombardier, Cessna, Dassault, Embraer, and Gulfstream use some form of counterbalance in either the tensator motor or spiral torsion arrangement to achieve the ease of deploying and retracting that these springs provide. 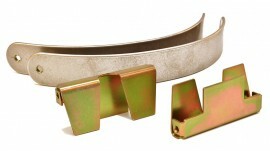 Your application may also require a spring sub-assembly consisting of components from different materials. John Evans’ Sons can put together the sub-assembly with a specialty spring and customer designated or supplied additional parts. Our ability to produce sub-assemblies is one of the reasons we stand apart from other spring manufacturers. Have a unique aerospace application that requires a spring or assembly? 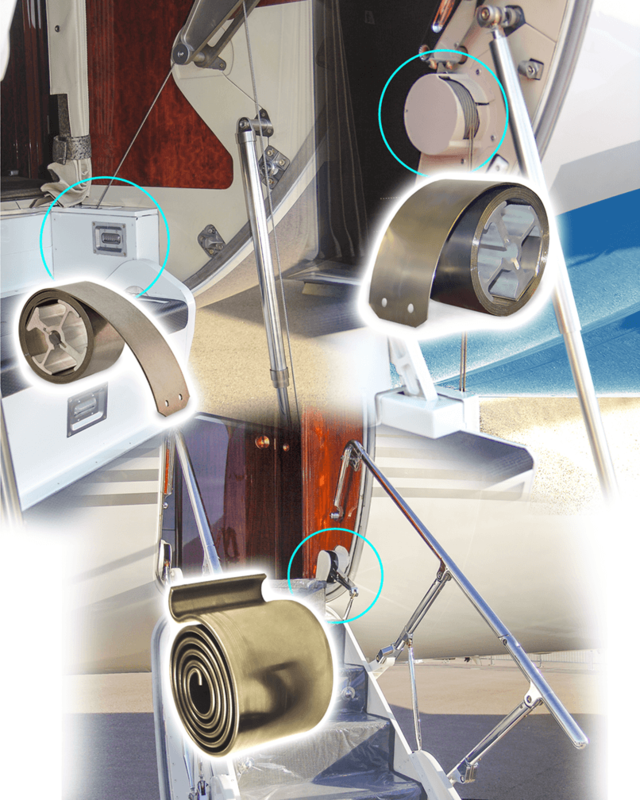 Provide information about your customization needs, and a member of our design engineering team can assist you. John Evans’ Sons is a trusted aerospace spring supplier, as evident by our commitment to manufacturing excellence. All of our products align with strict quality standards. We are AS9100 certified, which is the widely adopted and standardized quality management system for the aerospace industry. This certification also includes the requirements of ISO 9001:2008. 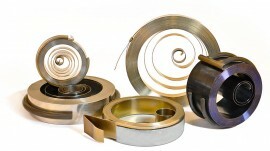 Major corporations have recognized our quality manufacturing. Kaman Aerospace previously presented our company with its top award for outstanding quality and on-time delivery by a component vendor to a major defense contractor. In addition, we are members of the National Business Aviation Association (NBAA), the leading organization for companies that rely on general aviation aircraft to support their business operations. John Evans’ Sons is registered and compliant with International Traffic in Arms Regulations (ITAR). For more information about our aerospace products and capabilities, view additional resources below. Ready to request a quote or talk with a John Evans’ Sons representative? Complete our contact form or call 215-368-7700.